Tonight, we are at the much awaited Beijing National Stadium, 鸟巢! Join me as we find out who the winner is after so many rounds of competition. 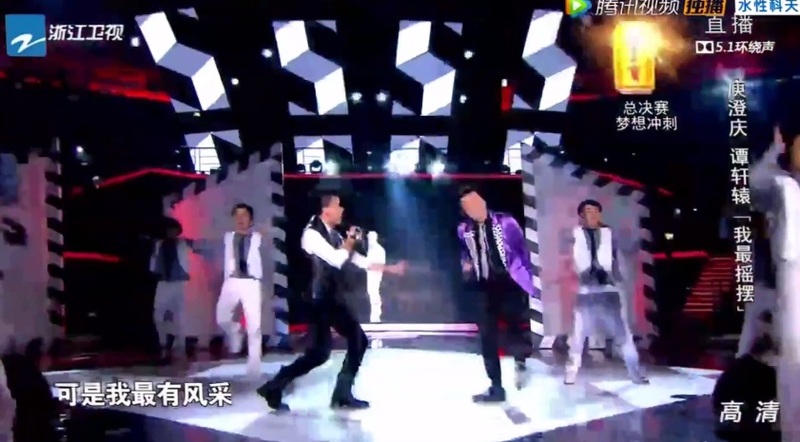 We start off with a performance by Jimmy Lin Zhiying and JJ Lin Junjie. They sang 全面开战 to promote Clash of Clans, a mobile phone game which they are spokesperson for. They were recently on a episode of Happy Camp and promoted the game heavily as well. 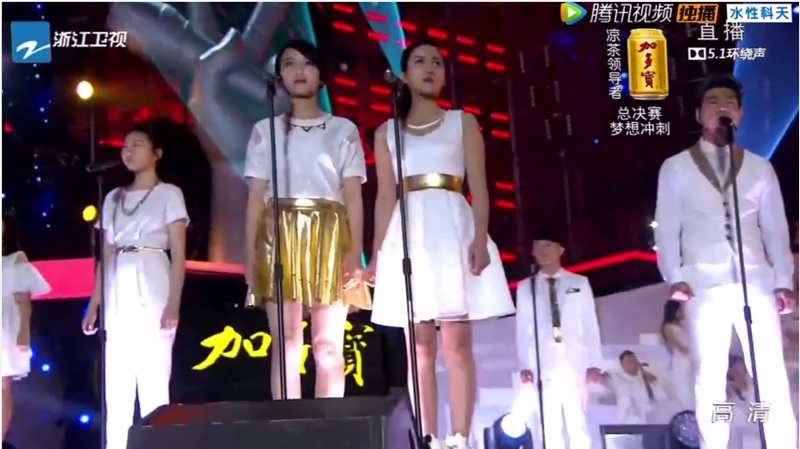 Next, we have a performance of 我爱你中国 by the Top 48 competitors. I liked the performance a lot, it’s heartwarming to see all of them on stage together again. The mentors then each encouraged their students. Zhang Lei seems to have put on eyeliner, is he turning into a rocker? Hahaha. 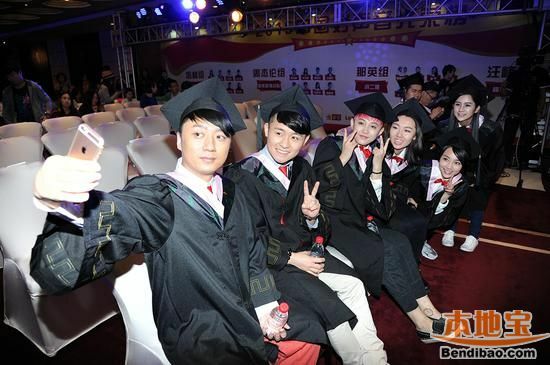 Wang Feng is looking good though, glad to see he’s not too affected by all that gossips and controversy. There will be 2 rounds of competition tonight. In the first round of the competition, the five finalists performed a duet with their respective coach, then a solo song. Based on the public votes received from the live audience at the end of the first round, the bottom three artists with the fewest number of votes were eliminated. The remaining two artists will then sing their last song in the second round of the competition, with the 101-person media judging panel and live audience voting for the winner. Every member of the media judging panel gets one vote, and each vote represents one point. 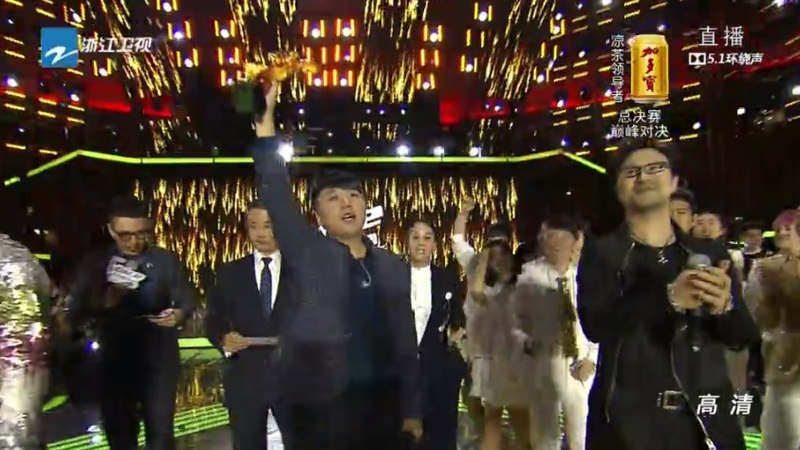 The public votes received from the live audience are converted into points based on the total number of the votes received by the final two contestants. The artist who received the highest accumulated total points will win. Pre-performance: Jay had invited Zitong to perform in his concert in order to prepare her for the stage at Beijing National Stadium. He even introduced his personal gym trainer to her in order to help her strengthen her body. Comments: Such a cute performance! I can’t make out any words they are singing but I think this is one of my favourite performance of Zitong thus far. It’s cute and refreshing. And hey, she changed her outfit(!!!) After the performance, Jay shared that he felt like he was more nervous than her. Pre-performance: Na Ying brought Zhang Lei to see his idol, 老狼老师 that inspired him to start singing and Zhang Lei is like a little fan boy. So cute. Comments: He suddenly looks much younger. Haha. I feel like he has a different air around him this time around – and then I realised, it’s probably because he kept his eyes open almost throughout the performance. That’s a first! He usually sings with his eyes closed. 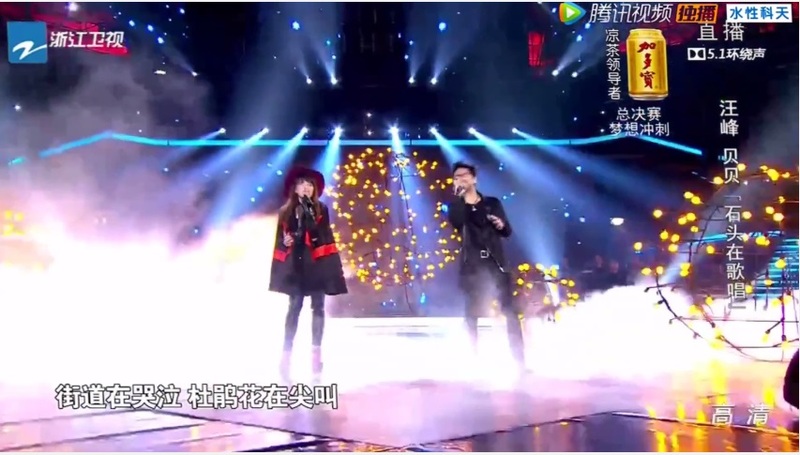 As much as I love Zhang Lei, I’m not very impressed by this duet though. The host Hua Shao then joked that such a performance really makes one wonder if there’s a May-December relationship going on here. Haha! Pre-performance: Bei Bei has always felt inferior because she never learnt how to sing properly (as in through professional lessons). Hence, Wang Feng took this chance to teach her and even gave a guitar! Comments: I think I turned into a Wang Feng fan after this performance. He looks so at ease and comfortable on stage! Can’t say the same for Bei Bei though – her performance was a bit too shrilling for me. The chorus is pretty painful to sit through. I think Wang Feng and Bei Bei has got the cutest mentor-student relationship amongst them all. Wang Feng treats Bei Bei like she is his little girl and go all out to protect her and give her whatever she wants while Bei Bei is the grateful little girl who treats Wang Feng like an idol and ‘the man who gave her everything’. In an alternate universe, they will be the leads of a drama. Hahaha. Pre-performance: Jay also brought Li An to perform at his concert. They also celebrated Li An’s first mid-autumn festival together as well. Comments: Guan Shi Min (Sharon Kwan) played the erhu for their performance. Cute – she gets to perform at 鸟巢 too! It’s now time to evaluate the results of Li An going ‘chinese style’. Oh hey, Jiang Yuandong also joined in the performance – by playing the flute. Jay wasn’t impressive in this performance but I think Li An was even more lacklustre. Maybe he doesn’t suit these ‘chinesy’ songs as much. His most valuable asset is his thick, stable and grounded voice but it doesn’t show through this song. A complete waste. Pre-performance: Harlem brought Xuanyuan to Taiwan’s workshop to practice. He also brought him around Taiwan to play so as to relax and destress. They even went biking together and Xuanyuan said the he felt like the two of them are ‘bros’ ever since. Comments: Harlem’s purple jacket needs to go. And Xuanyuan looks so awkwardly cute as he tries to dance and ‘shake’ to the music (and fail terribly hahaha). I like this performance. It was very decent. Harlem brings up the mood very well while I like how Xuanyuan sounds a lot. I even thought he sounded better than Harlem. Xuanyuan sounds a bit tensed though. After 1 round of performances, the host shared that Zhang Lei is leading in the votes while Zitong is second as of now. I think this is unfair to Xuanyuan because he was the last to perform. Not much time for the audience to vote for him before the voting is closed. Comments: This performance is heavy on the gold and red – chinesy indeed. I actually find this performance not too bad, and that’s quite something considering I have never been fond of her performances. Oh, turns out the voting is fair as the voting channel for Chen Zitong will be closed right after Jay Chou finished making his comments. The voting period for each contestant will start from their performance and end when their mentor finish commenting. Host Hua Shao reminded Jay of that fact and Jay immediately replied, “Ok, then I will proceed to speak for about an hour.” Hahaha, cheeky. Then, Jay continued with, “881, 881, 881, 881, 881, 881…. 881!” for awhile. 881 is Zitong’s contestant number. Hahaha. Pre-performance: Na Ying said something that I agree with a lot – Zhang Lei has a voice that cannot attack others (as in win over others in terms of strength) but he also has a voice that is most irresistible. Comments: His performance is very simple and clean. 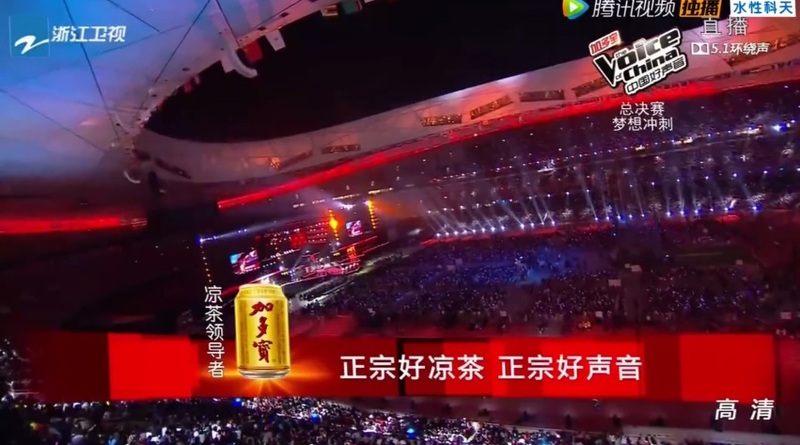 No dazzling lights, no back up singers – just a screen with (yellowish) white background and black words as well as some simple black/white animation. But somehow, that’s enough. It’s not flashy but it tugs at the heartstring. So many people ended up in tears after his performance. It’s also Zhang Lei’s birthday and Na Ying got the entire stadium to wish him ‘Happy Birthday’. They are at the cruel way of announcing results again! 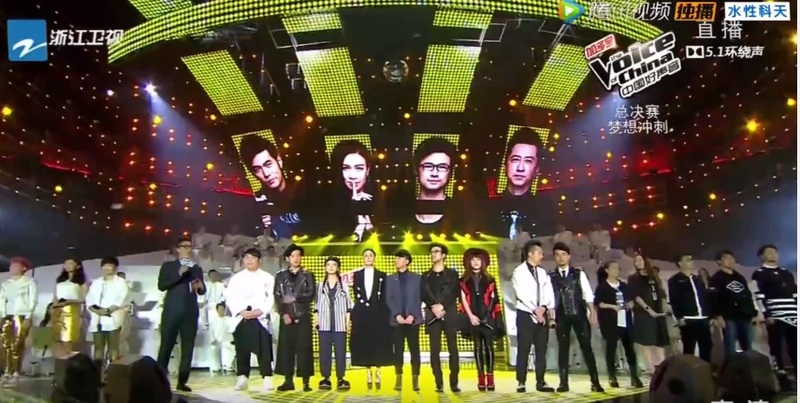 The votes garnered by the singers will be announced right after their performance. And the one in third place will be eliminated immediately. Ouch. Chen Zitong has 8,800 votes while Zhang Lei has 11,773 votes. That’s a big difference. Pre-performance: Bei Bei is such a positive girl. Huang Xiaoyun claims that Bei Bei is their team’s 女神 (female god). Xiu’er also told Bei Bei to give it her all… Or else Xiu’er’s sacrifice will be in vain. Hahaha. Comments: Bei Bei without her hat! That’s a first. She’s not secretly bald. Hahahaha. Also, this is not a Wang Feng’s song either. I don’t have much comments about her performance though. Nothing outstanding. Hey, Wang Feng also shared it’s his first time seeing Bei Bei without her hat! Moment of truth! There will be an elimination this round after Bei Bei’s result is revealed. Bei Bei has 8,033 votes as compared to Zitong’s 8,800 votes. And hence, Bei Bei is eliminated. This is so cruel! Sending her home right after her performance. I hope Bei Bei continues to be the inspiration she is. All the best to her! Zitong is looking so tense, every moment must be excruciating. 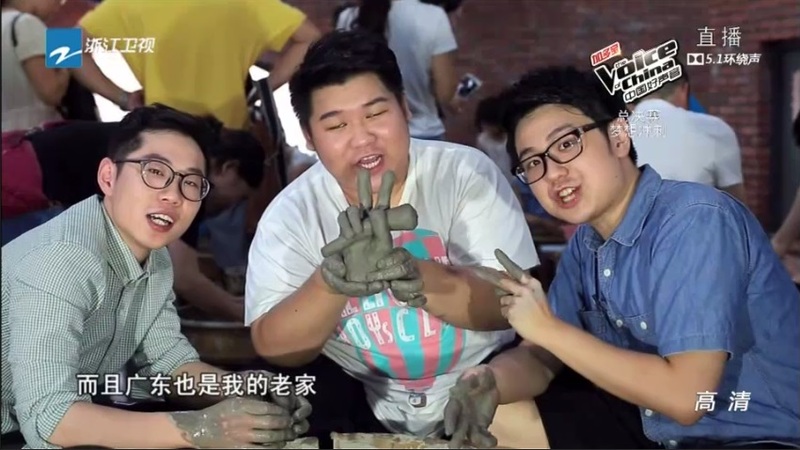 Pre-performance: Jiang Yuandong, Xu Lin and Li An went on a trip to Foshan to find their cultural roots together. Cute. As Li An’s fellow teammates are sharing their good wishes, the host doesn’t forget to plug in to promote Jay’s involvement in Kungfu Panda 3 which will be airing Jan 2016. Comments: This is a much better song choice. And Li An’s pronunciation of chinese seems to have improved quite a bit! Even though there are still many areas to work on, his chinese actually sound pretty decent. 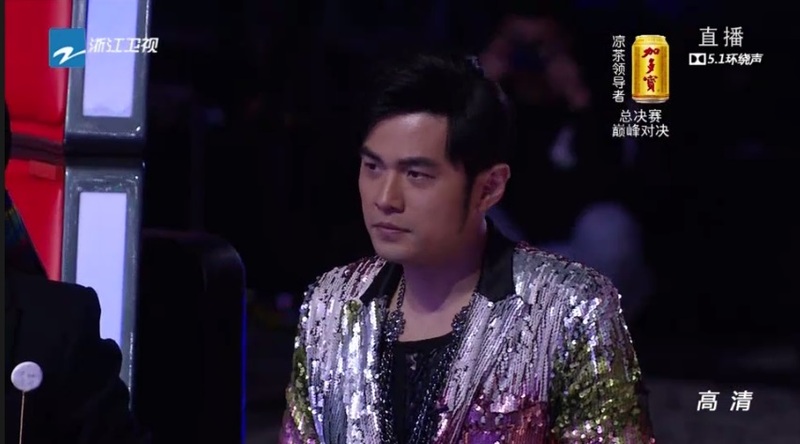 Jay is pretty tense because Li An’s result will directly affect Zitong’s standing. 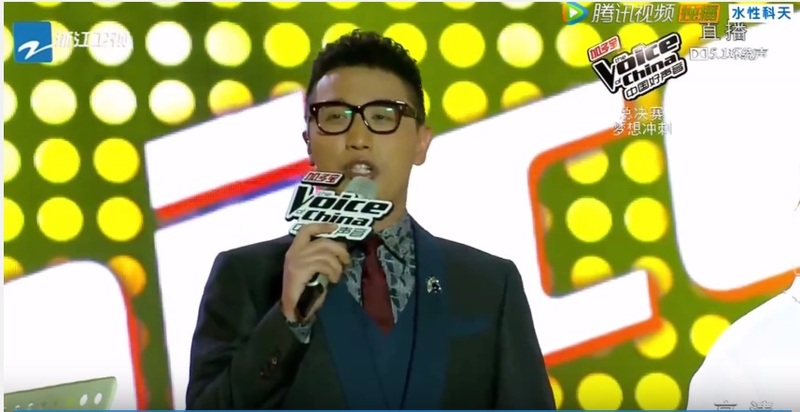 Jay is promoting ‘884’ – Li An’s contestant number when the host reminded him 884 will affect 881 (Zitong)’s result. Jay then replied, “881, 884.. both are good. Vote for both.” before being cut off by the host who said, “Voting for 881 is closed though.” In the end, Jay could only say, “Alright… Vote for 884 in that case then.” Jay told Li An it doesn’t matter if he wins or not, because in his heart, Li An is already a champion. Li An garnered 6,856 votes. The lowest currently. And hence, Li An is also eliminated. Pre-performance: Xuanyuan has a very supportive mum. And I think that’s extremely lucky. 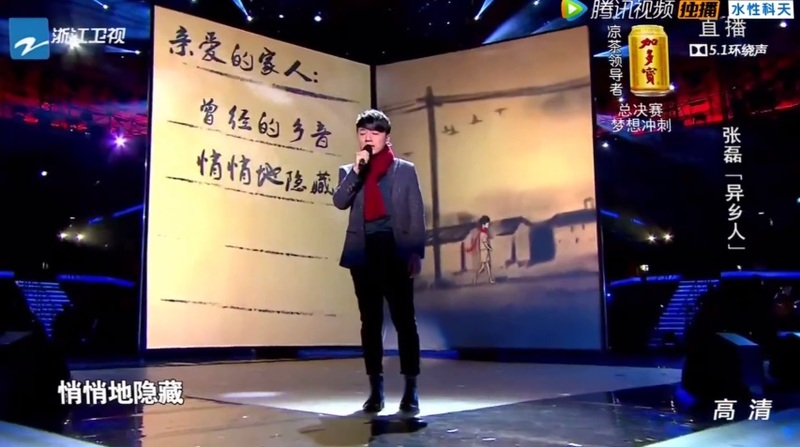 Comments: I can totally imagine this is the kind of songs Xuanyuan will sing but I’m not sure whether it’s brave or stupid to sing an English song in the finals of Voice of China. Of course, good voices go beyond language and countries but in this type of competition which is supposed to instil nationalism and hope in the people, going ‘western’ is not a very smart style. Gonna admit that he did a great job though. It almost feels like this is his personal concert. Comments: I’m surprised at how little rap she performed today. But this only means I like her more. I can’t give her too much credit though. Because even though I like her more with these performances, I can’t help but feel that those eliminated earlier on today, or even from episodes ago, can perform this song much better than she did. Jay was extremely cheeky when he was told to comment on Zhang Lei’s performance in a sentence. First, he told the audience, “881… 881… Zhang Lei and Zitong are both 881. Just vote 881 if you want to vote for Zhang Lei,” and he got glared by Na Ying. Hahaha. 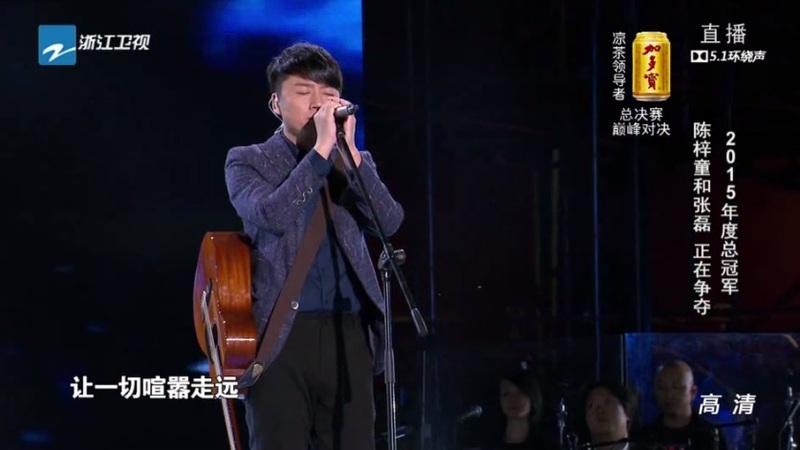 Jay then observed that Zhang Lei had three signatures on his guitar and added, “I see you got signatures from all the 3 other mentors. It’s missing mine yea? Tell you what, let Zitong win and I’ll sign it for you.” Hahahaha. Seems like the brainwashing works because when it was Na Ying’s turn to comment, she said, “Vote for 881… and 882.” Hahaha, I thought she was confused for a moment! And yes, the sister-brother alliance has succeeded as the final 2 are from their teams. Zhang Lei is leading like mad with the 101-professional votes. The score is already 28-7 in Zhang Lei’s favour after the second batch of judges made their votes. Jay and Zitong both aren’t looking too good. But to be honest, Na Ying and Zhang Lei are not showing any hints of happiness either. Zitong is already trying very hard not to cry as the score is now 53-22 in Zhang Lei’s favour. There seems to be a glitch as the voting ended with a score of 66-31 which only makes up 97 votes. Guess some of the votes didn’t get through, not that it would make much difference. 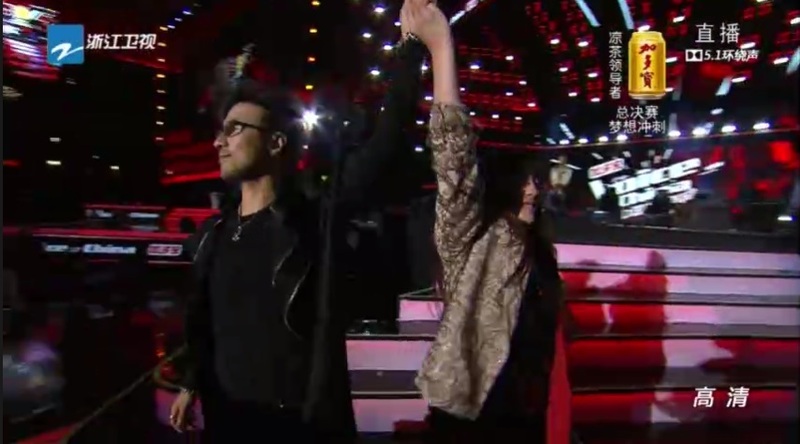 Zitong received 15,986 votes from the audience and ended up with a final score of 47.12 while Zhang Lei received 23,871 votes from the audience and ended up with a final score of 58.53, emerging as the winner of The Voice of China Season 4 – 2015! This is also the third season that Na Ying’s student won. Final thoughts: I’m happy with the winner. After Sun Bolun, Zhang Lei is my second pick to win. The final results are not too unexpected. I’m also glad that Tan Xuanyuan clinched the third place – he was my episode 1 pick to win. 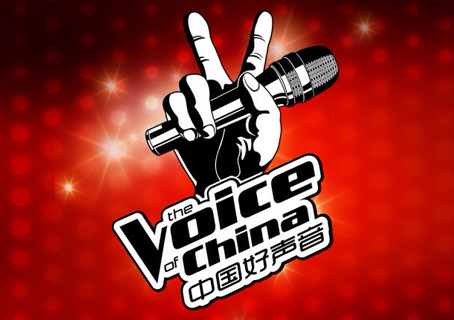 There are rumours saying that the three guys all signed a contract with the company that sponsored The Voice of China show while the two ladies refused so the ladies will not get a chance to win. Not sure how true it is, but I doubt it really matters because this means all of them will be able to continue on with their singing career and that’s always good. 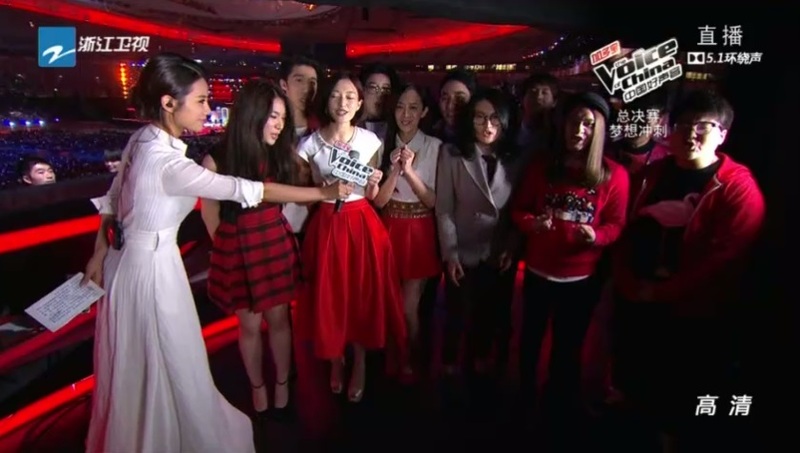 This summer, The Voice of China Season 4 has brought about a lot of joy to me. And I hope it did the same to you. 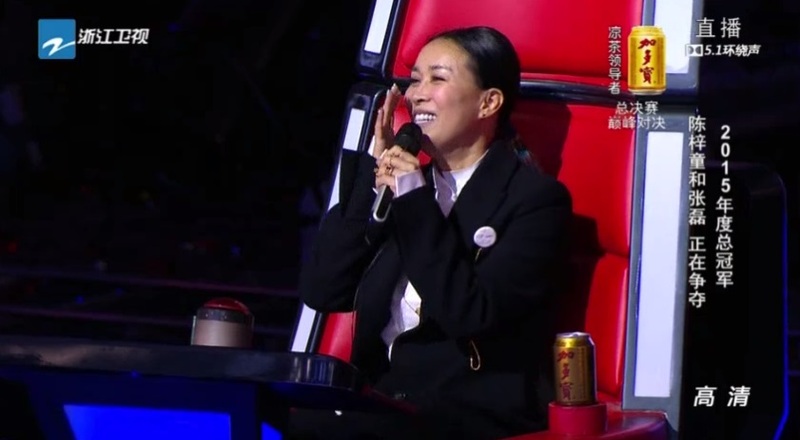 Thank you for being part of my Voice of China journey 🙂 Catch the final episode of Voice of China here and leave me a comment on what you feel. Ending with a product placement. Cheers. 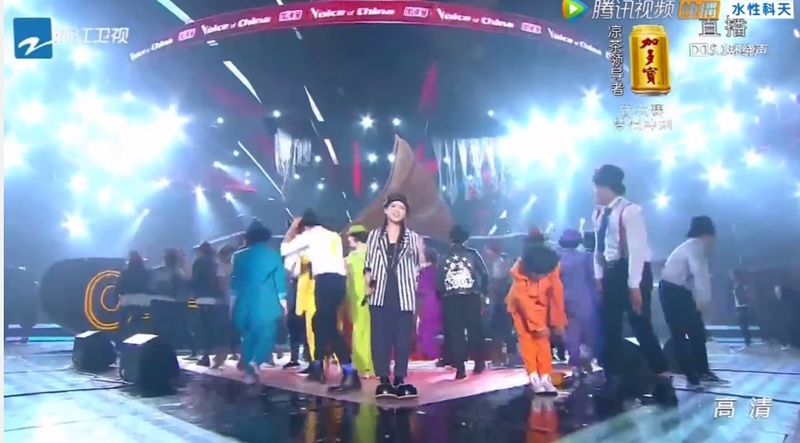 This entry was posted in > China, - Music, - Variety Show, Recap and tagged 151007, Beibei, Chen Zitong, Harlem Yu, Jay Chou, Jimmy Lin, JJ Lin, Leon Lee, Li An, Lin Junjie, Lin Zhiying, Na Ying, Tan Xuanyuan, The Voice of China, The Voice of China Season 4, Wang Feng, Yu Chengqing, Zhang Lei, Zhou Jielun, 中国好声音, 中国好声音第四季 on October 10, 2015 by Kate - skimmedmilkdrama. I think Zhang Lei deserves to be the winner too! I felt very sad reading some online forums that said he only won because he is “typical china style” plus they kept making fun of him saying his face looked like it was botoxed since he never smiles ): I don’t think there’s a problem there because it’s the Voice of China after all, nothing wrong with “china style” being popular. What I can’t understand though is why Li An’s scores were so low though I think he really did the best out of all his performances this time! Zi Tong’s rendition of 黑色幽默 (Black Humour) wasn’t that great though (coming form someone who has liked her quite consistently so far). I feel like she didn’t really deserve to be in second place, almost everyone’s performances were much better. 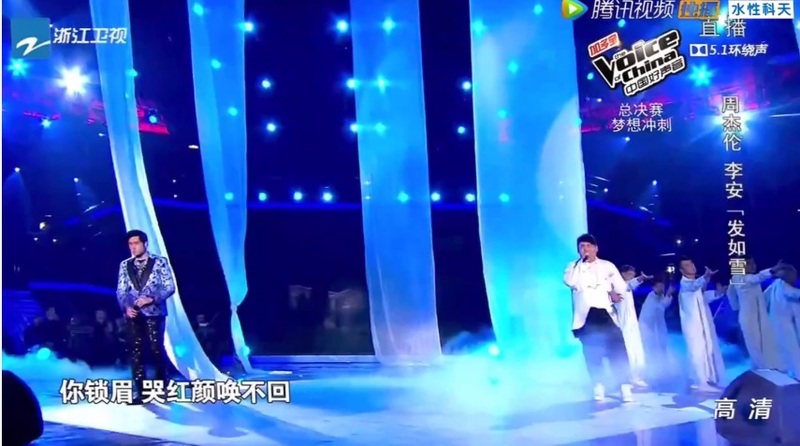 Tan Xuanyuan was AMAZING in his solo but the choice of english songs definitely went against him at this point. Personally I loved the mentor-mentee performances, especially Harlem’s! He’s just so much of a performer rather than a singer his energy was really great (though Xuanyuan seemed a little awkward next to his enthusiasm). 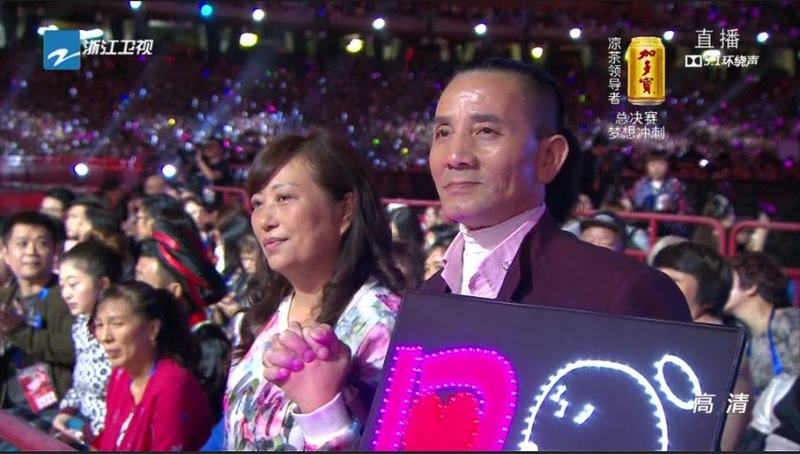 And is it just me or was Na Ying pretty off pitch when she sang with Zhang Lei ? 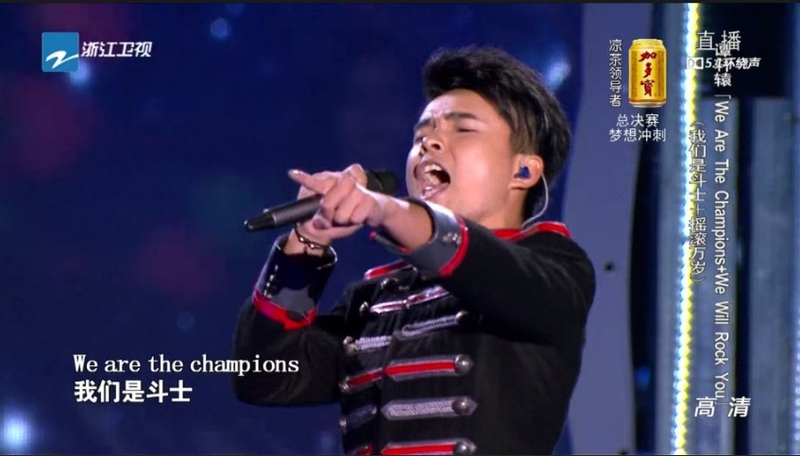 Thanks for posting my favourite champion for the Voice of China 2015. Zhang Lei really has the charismatic voice that makes me wanted to listen to his songs again and again. That’s the charm of a real talented singer which can bring our thoughts, emotions and imaginations into the songs. I’m really happy that he is the winner for this year competition. Those who criticizes him doesn’t know what a true talented singers possesses which he has gifted from God. I will surely look forward to his first debut album…if there is. Frankly, i find Zhang Lei boring to listen to. One dimensional, flat and not engaging at all on all the songs he sang. Zi Tong can’t sing at all, monotonous and simply one tone delivery whether in rap or slow numbers. 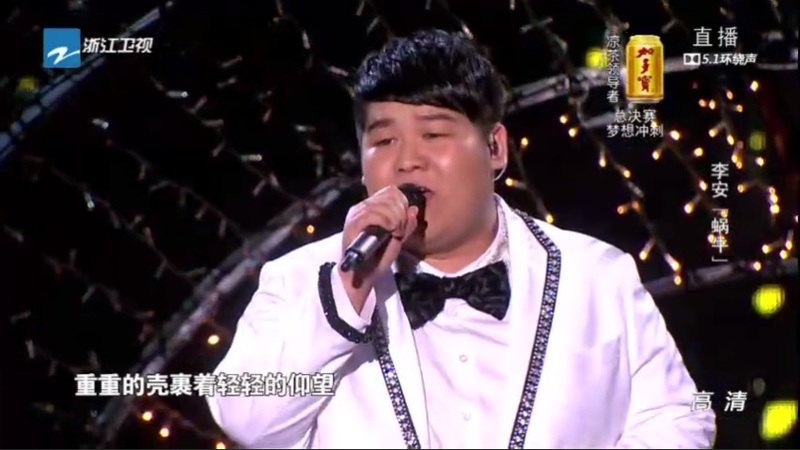 Li An was raw and not smooth in his delivery although he has a very good tonal and raspy voice. Xuanyuan was over the top in his delivery and always sounded hard on the vocals. 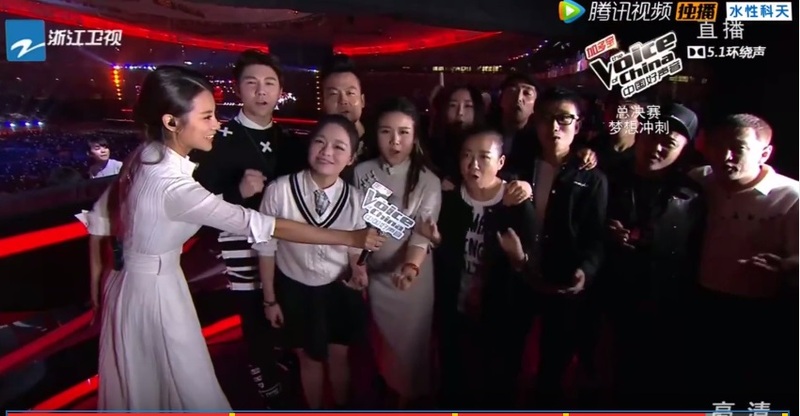 Bei Bei did not choose a Wang Feng’s number but instead picked a very difficult song to showcase her powerful vocal. I felt it was too dynamic for her and her high pitch delivery may sound harsh on some listeners. 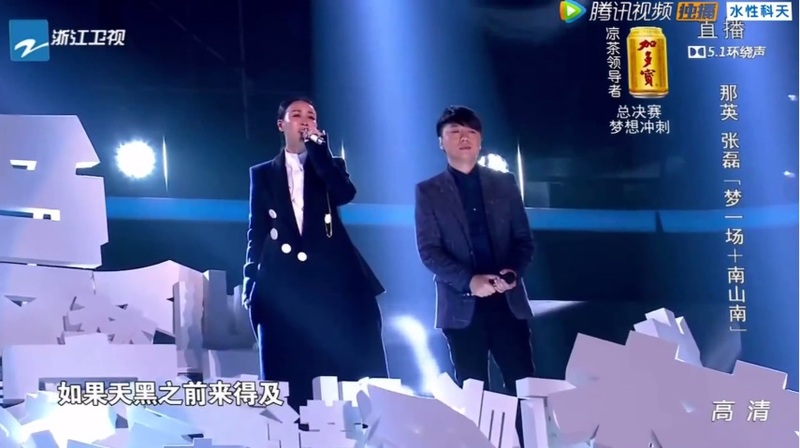 However, I say she is still the best in this season VOC, dynamic, soulful, warm, smooth and very engaging in all the songs she sang, especially those from Wang Feng’s compilation. I look forward to hearing more from her.